I was intrigued the moment I saw the trailer for “A Quiet Place.” Although it initially seemed, at first glance, to be just another horror movie at the beginning of the year, looking deeper into it made it appear to be a very original idea. How would it be to sit through a whole movie that isn’t necessarily a silent film, but in which there is almost no talking? “A Quiet Place” is by far one of my favorite films of the year, if not my favorite. Although a very short run time of 95 minutes, it is packed from start to finish with suspense and emotion. I was curled up with my fingers in my ears for almost half of it, despite the fact that it was a very quiet movie. This John Krasinski writer-director debut floored me. Not only was it a very well-written and well-paced film with genuinely thrilling moments and monster designs; not only was it wonderfully directed and photographed, but it actually had a message underneath it. It was a story that wasn’t just surfaced or about a group of teenagers being stupid and “finding each other.” It was an emotional, impactful message that leads to a very heartbreaking but powerful finale. As for critiques? Plot-wise, it was great. It was a simple plot, and that gave them the freedom to really dive deep into the moment-by-moment concept. There weren’t really any plot holes, except for some very technical questions. If there was anything that the movie lacked, it was character arcs. Some characters have them, but for others, they introduced an internal problem they had and then the movie never really allowed them to get closure on that problem, at least not completely. There is also one character who has a few complex issues that seemed a little jumbled. Krasinski nailed it with his very first crack at two very difficult jobs in movie-making, and definitely made an impact. 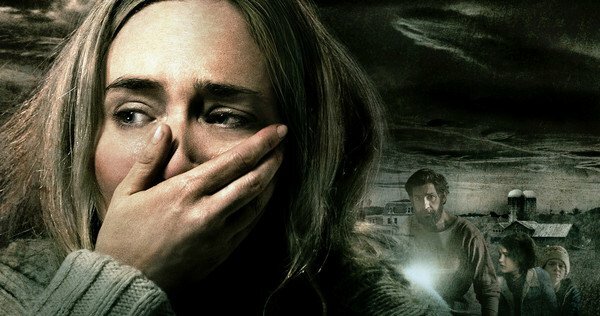 With the release of movies like “10 Cloverfield Lane,” “Get Out” and now “A Quiet Place,” I am excited for the horror and thriller films to come because not only are they scary and suspenseful — they’re smart. It’s not just scaring for the sake of scaring. There’s a reason to be scared — a real, human reason — and that’s the scariest thing of all.